Wes Announces All MOOCs All the Time! No more classes, no more books, no more teachers’….. Wesleyan, which has been a pioneer in offering online classes (our Social Psychology class on Coursera is among the most popular on the internet) has decided to take the next VERY BOLD step! As of next year all our classes will be offered online! Don’t worry about going to classes, don’t worry about labs…You can do your work at your own pace when you want to do it. If you want to see other people, just go to one of the myriad social events we are planning. These will, of course, have robust educational content, and they will build innovative capacity in our students by going beyond the classroom entirely. And think of it, we’ll be able to bring in the very best bands now that we don’t have to pay for classroom instruction. Spring Fling all year long!! To find out more about our radical new plan (so Wesleyan! ), go to the website. As many of you know, the Long Lane Farm has been very successful at selling organic vegetables to our food services vendor, Bon Appetit. This means we are eating local, and we are eating healthy! Furthermore, students are gaining valuable experience in managing a farm and understanding how a small operation can make a big difference. Well, that difference just got bigger! 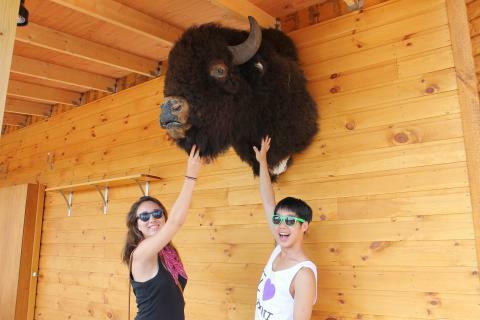 Next year, Wesleyan students will be raising bison right here in Middletown. We tried raising chickens on the farm a few years ago, and I know that we had unhappy results. So, after crowd sourcing an innovation agenda on sustainable edibles, we decided to scale up with animals that are less fragile. This will be meat that comes from local animals raised with care (and organic feed). The herd will benefit from the beautiful meadow just adjacent to the farm…cross country runners will now have something really interesting to gaze at! 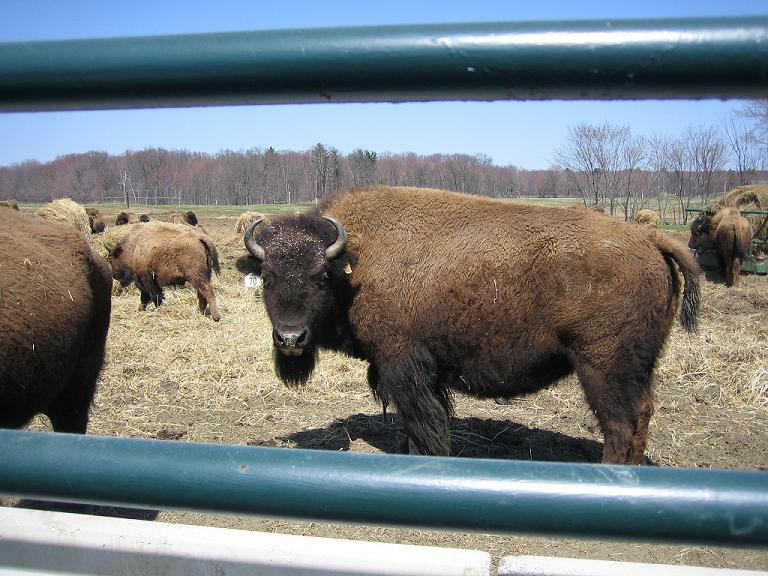 The idea comes to us from the bison farm at Amherst, Massachusetts, where hipsters know that locally curated meat is the answer to the Omnivore’s Dilemma. …but don’t worry about this being a Trojan bovine. 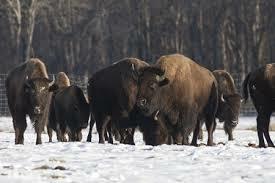 Although we won’t try to breed red heifers, we will make sure that our bison love the cardinals. Imagine bringing one of the creatures out at half-time at Homecoming! As many on campus already know, the track behind the Freeman Center is closed for several months for extensive renovation. Many have voiced their frustration that this important exercise venue is no longer available. For years I have also been asked by dozens of students and alumni why Wesleyan no longer allows students to use the tunnels under the campus. For many, the tunnels represent a place of experimentation, a happy alternative to the more controlled environments above ground. Of course, sometimes this “experimentation” got out of hand. So, I’ve decided to re-open the tunnels, but to do so for the purposes of health and exercise! We have been repainting the vast maze of underground paths (and putting cameras every 50 yards or so to ensure safety and security), improving ventilation, and fixing water fountains, etc. The Wesleyan tunnels will be a great place to work out, meet other students, and to get back in shape for summer. We’re even thinking of having an underground battle of the bands!! 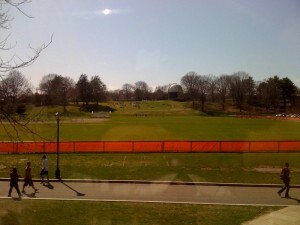 Spring is here, but let’s be weirdly Wesleyan and go underground! Let’s Reduce Bandwidth and Read More! The Wesleyan Student Assembly seems to have no idea of what to do with its enormous surplus, and so its leaders have offered the money to the administration for co-curricular programs. Starting immediately, the funds from the Student Activity Fund will be devoted to buying texts for book clubs, and we will organize weekend discussion sessions in all the residence halls. I am happy to announce that the Greek Societies have stepped forward to create special late night book clubs on memoir, autobiography and quest narratives. In order to encourage more reading at Wesleyan, I have directed Technology Services to cut the bandwidth to the university by 66%. Many students have complained about the slow internet speeds at Wesleyan because they want to watch videos and other forms of popular entertainment. Grow up! We are an educational institution! I have decided to cut the wireless to all dorms after 10 pm, and we will reduce the pipeline to the internet. Students are encouraged to send their ideas for reading groups to their WSA representatives. Close your computers and unite around books, you have nothing to lose but your chains.